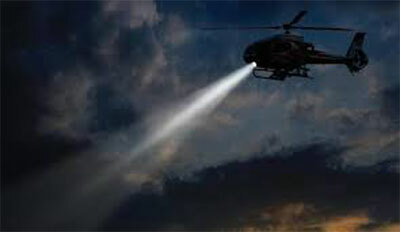 Spectrolab's flagship Searchlight model introduces new Infrared (IR) LED technology into a sleek aerodynamic package. The new IR LED Ring offers infrared illumination for use with Night Vision Goggles (NVG's). A ring of high power IR LED's offer wide or narrow focus modes while reducing power consumption by 79% and weight by 20% (compared to our original IFCO filter configuration). Visible white light remains intense with the use of the legacy 1600 Watt Xenon Arc Lamp. 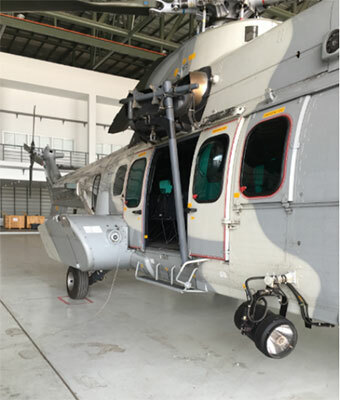 This combination of technologies provides the operator with the best airborne searchlight in both visible white light and invisible infrared operating environments.